Watermelons are large fruits that grow on a vine. Their large crinkled leaves thrive best in warm environments, and grow rampantly without too much attention. 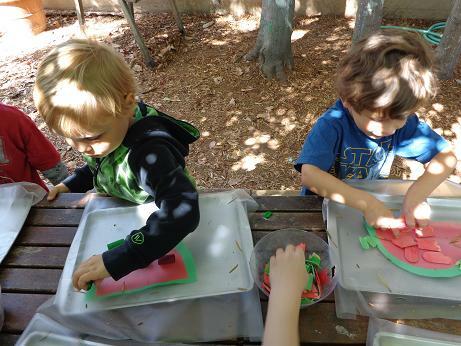 Using the pasta from our fine motor activity and contact paper, we created our very own watermelons! 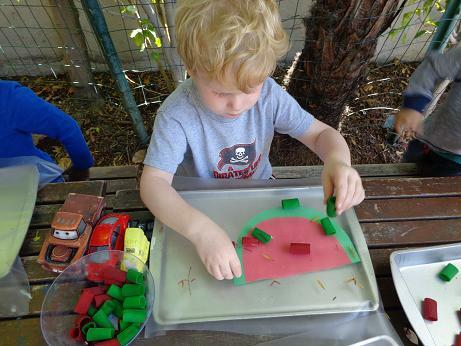 This activity provided several opportunities for your little ones’ cognitive growth. 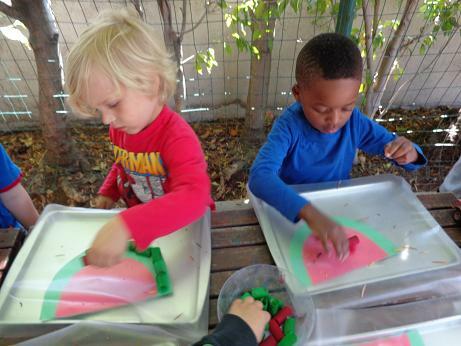 By arranging the pasta on the contact paper, they had to master space as they considered how the objects fit together. As they placed their pasta onto the paper, they were also encouraged to count. 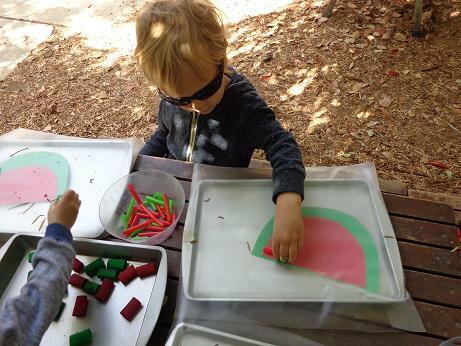 Once they finished their creation, their last task was to count the amount of noodles they placed onto their watermelon. 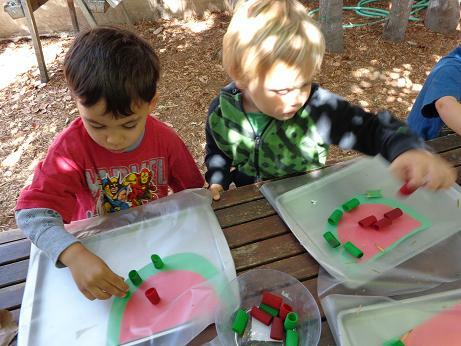 This portion of the activity enabled them to understand measurement, a precursor to their mathematics education. By arranging the objects by color and quantity, they applied their understanding of patterns, and the relationships between two different colors.